When it comes time for your business to move into a new commercial space, make sure you consider the terms of your lease agreement from both business and legal perspectives. While there are some common terms and clauses in many commercial leases, landlords and property managers sometimes incorporate unusual terms and conditions. As you review your commercial lease, pay special attention to the following issues which can greatly affect your legal rights and obligations. Your initial lease term will likely be a period of three to five years, or perhaps longer. Locking in long terms benefits the landlord, but can be off-putting for a tenant. Instead, you may be able to negotiate a shorter initial term, with the option to extend at a later date. This will afford you the right, but not the obligation, to continue with the lease for an additional period of years. Be sure that any notice required to terminate the lease or exercise your option to extend at the end of the initial lease term is clearly articulated. If you are locked into a long-term lease, you will likely want to preserve some flexibility in the event that you outgrow the space or need to vacate the premises for other reasons. An assignment transfers all rights and responsibilities to the new tenant, whereas a sublease leaves you, the original tenant, ultimately responsible for the payments due under the original lease agreement. Tenants generally want to negotiate the right to assign the lease to another business, while landlords may prefer a provision allowing only for a sublease agreement. What if the landlord fails to comply with the terms of the lease? If a lender forecloses on your landlord, your commercial lease agreement could be at risk because the landlord’s mortgage agreement can supersede your lease. If the property you are negotiating to rent is subject to claims that will be superior to your lease agreement, consider negotiating a “non-disturbance agreement” stating that if a superior rights holder forecloses the property, your lease agreement will be recognized and honored as long as you continue to fulfill your obligations under the lease. 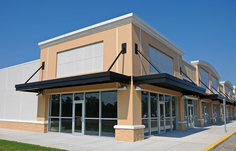 For commercial leases, landlords often add extra costs and expenses that must be covered by the tenant, in addition to their monthly rental payment. These include real estate taxes, maintenance fees, cleaning of common areas, snow removal, and maintenance and repair of the heating and cooling systems. Be sure the lease clarifies how these extra charges are measured. For example, they can be individually metered or apportioned by square footage. Find out what costs are typically incurred by other tenants in order to budget properly.